Online writing is an amazing business; you can write at any time, any place, at wages of your choice and select work of your interest. 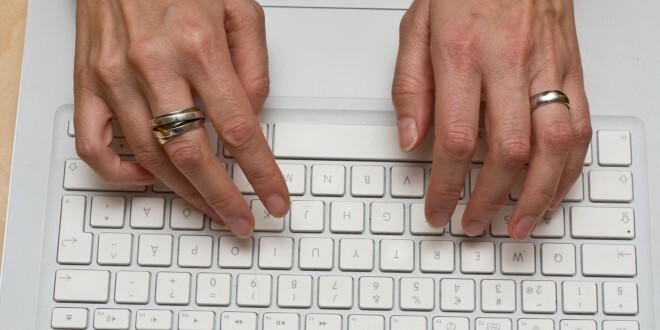 Online writing thus seems easier and it definitely is if you know some tips and tricks. There are millions of freelancing websites that pay you for writing articles, editing, proofreading or translating written work. There are plenty of works on freelancing websites even, if you want to own your own website you should first spend some time in writing for these websites. These websites are a great way to get some experience on how you can be successful in online writing. When writing for any freelancing website like oDesk, Elance or Get A Freelancer you should know some tips and tricks. These tips will be handy when you will start writing and you will be able to earn some money in return of your efforts. You need to be well aware of the SEO tricks to increase the ranking of your webpage and to draw traffic towards it. There are plenty of SEO plugins that you can download for your website, if you are writing for some other site than you should read about search engine optimization tips online. Search engine optimization is something that differentiates online writing from writing for print. Good use of search engine optimization techniques is a challenging task but you can learn it. Every freelance website looks for writers who have good English. The writers should be able to write articles with minimum grammatical mistakes. Search engines use to rank those webpages very low that contain grammatical or other errors. You should have an uncanny ability to write without errors. You should also know how to use punctuation, articles and other grammar rules. Some writers are not satisfied with their grammar skills; they can use software to check grammatical errors in the article. There are several free software like Ginger that check the grammar in the text. Proofreading is necessary before publishing the article, if you are not sure about the grammar of the text ask some one else to read it and proofread it for you. Writing skills are different from good English. You can have great English but you won’t be able to write well. To write good articles you should have some writing skill too. Some people are natural writers and they can write on anything and everything but other people can learn this skill. Today you can write on any topic in the world if you have writing skills; there is plenty of information available on the internet about any topic. You need to research the topic before writing on it; research will help you in dealing the topic in a better manner. Research is a tool that can aid you anywhere; while writing articles you should research about the topic to get recent information. You should also read the recent facts and statistics about the topic; by adding statistics you improve the quality of your article. Most of the freelance writing websites require that the writer must research before writing on the topic. Professionalism is necessary especially when you want to earn long-term from writing. The writer should be very professional about the deadline as most freelance writing websites have a tough deadline. Contractors prefer those writers who submit work on time. Your writing style should also be professional and it should show your maturity and understanding of the topic. Precision is something that is part of your nature but you can also acquire it if you want to be successful in any business. When you are writing articles online or even for print media you should know that millions of people will read your article and they will critically analyze it any error will be highly disregarded. Writing a cover letter is necessary because a good cover letter is a gateway to getting a good opportunity. When you are applying for a job online the contractor could not see you, he can get first impression by the cover letter you provide. You need to show your past achievements, you can show it through your profile. In the beginning the writer should try to keep the rates as low as possible this does not lower your value but this will help you in getting more projects and as you get mature you will be bale to bid high. Some people have multiple of qualifications and abilities, you will also have other qualifications apart from writing. You should mention those qualifications as these qualifications can help you in getting the project. Correct these things immediately, and keep them in mind through all of your own Internet marketing endeavors. you let everyone you know aware of your Twitter page and encourage them to adhere to you.